The city of Aquora has been infested with a plague of tiny robots that are controlling people's minds. Can Max and Lia find out who's responsible and stop them, or will the people be doomed forever? 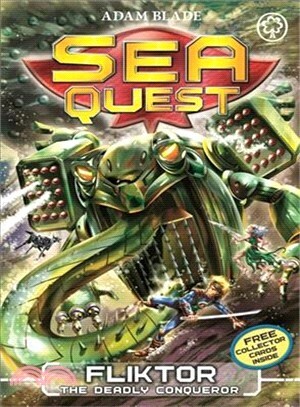 The first thrilling adventure in Sea Quest Series 6: Master of Aquora. Look out for Tengal the Savage Shark, Kull the Cave Crawler and Gulak the Gulper Eel!